There flag was adopted on June 27th 1991. Austria, Hungary, Italy, and Croatia surround Slovenia. There are many mountains and rivers going through Slovenia. There are also many caves, castles, cities, and water falls for the attraction. Some major bodies are Tupi, San Marine, and Lenart. There water is often polluted by metals which often causes sickness. Slovenia has a limited government and their leader is Danile Turk. Their leaders are chosen by an election by the citizens. 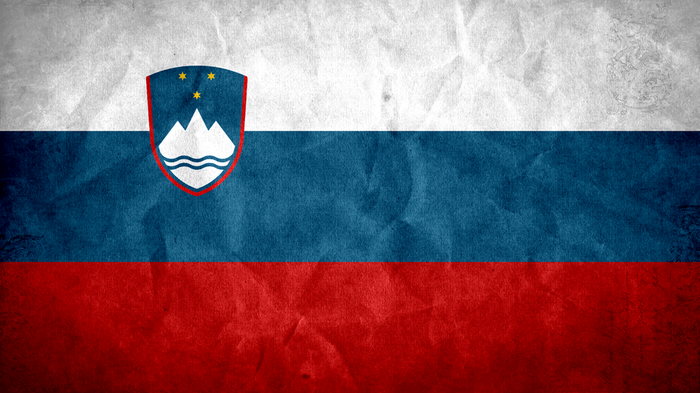 Slovenia is a growing welter every year and they use euros as money. Their main exports is cars, vehicle parts, gas, and petroleum. Their life expectancy is male 77.2 and female 83.6 and birth rate is 854. Their literacy rate is 99.90 and their drinking water source is mostly rural areas. They wear sandals, skinny jeans, and dresses their main language is Slovene and Slovak. Their major holidays are New years, Preseren day, Easter day, Easter Monday, Day of uprising against occupation, Labor day, Whit Sunday, and Christmas. The main religion is Roman Catholic and they eat Saverkaut and Potatoes. General weather conditions is 50 degrees Fahrenheit light wind and about 20 in of rain a year. Average yearly temperature is 45 degrees Fahrenheit. Slovenia invaded Prime Minister warns EV is near death and in 1945 after WWII Slovenia becomes a constituent republic of Socialist Yugoslavia. They use 47.75% less electricity than the U.S.A. They die 1.73 years sooner than U.S citizens.